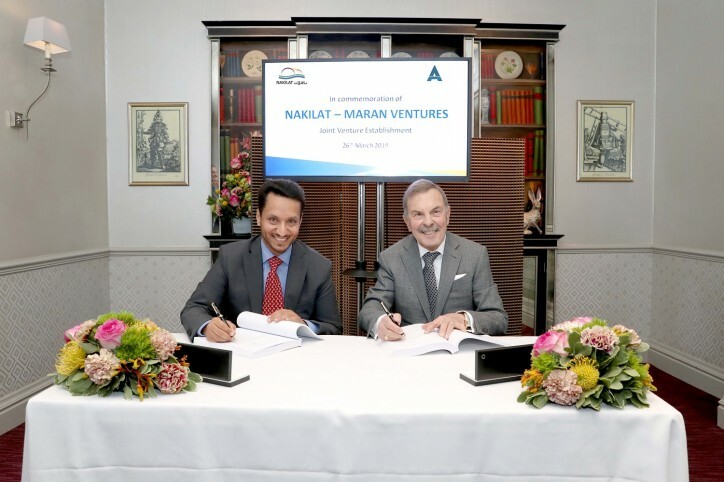 Nakilat has established a new joint venture (JV), ‘Global Shipping Co. Ltd.’, with shipping company Maran Ventures Inc. (Maran Ventures). Under the agreement, Nakilat will have a 60% stake in the JV while Maran Ventures will hold the remaining 40%. With 4 LNG vessels under the new JV, the number of Nakilat vessels will effectively increase to 74, which is approximately 11.5% of the global LNG fleet in carrying capacity. Nakilat’s Chief Executive Officer Eng. Abdullah Al Sulaiti said, “This agreement is a step forward for the company as we expand our fleet with additional capacity to meet the growing international demand for clean energy. This has subsequently led to a significant increase in demand for LNG shipping, which we hope will have a positive effect on charter rates. With the 4 new vessels being managed and marketed by Nakilat, this not only affirms our global leadership in energy transportation but also bears testament to our vessel management and marketing capabilities with the world’s largest LNG fleet. Nakilat’s steady growth highlights our robust financial performance and strategic planning, which comes as part of our efforts to maximize returns for our shareholders and support Qatar’s industry leading position as the world’s top LNG exporter.